Muses Theatre offers patrons high-quality, professionally performed, expertly produced shows in multiple genres including, but not limited to, drama, comedy, jazz, and musicals. 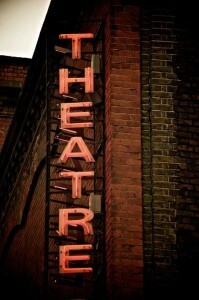 Muses Theatre is a full-service, intimate, one-of-a-kind theatre, housing many elements of live theatre under one roof! We are located in the North Fulton suburbs of Atlanta. 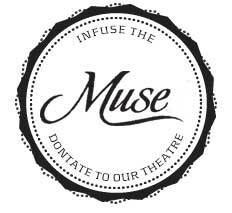 The mission of Muses Theatre is to enrich the lives of people of North Fulton and the surrounding region by creating a broad range of quality theatrical programs for their entertainment and education, and to provide people of all ages and backgrounds the opportunity to participate in play production and other theatre activities. To achieve that goal, Muses Theatre will feature drama, comedy, jazz, children’s theatre, classes for children and adults, new playwright workshop, and a new filmmaker’s workshop. Our hope is that all demographics and ages will find both entertainment and education in theatre arts at Muses Theatre. Muses Theatre strives to remain one step ahead of our competition through the broad range of services and entertainment options we offer. As well as by providing a place for patron of all ages to escape, to dream, and to become bigger than themselves. We strive to help our patrons live, love and carry those ideals out into their communities. We want to help our patrons develop a true love of the stage, and to see the world differently. This will create a sense of “belonging” for our community. *Muses Theatre will be set up as an LLC; however paperwork has been filed for a 501c3. This business plan offers financial institutions an opportunity to review our vision and strategic focus. It also provides a step-by-step plan for the business start-up, establishing favorable sales numbers, gross margin, and profitability. *This plan includes chapters on the company, products and service, market focus, action plans and forecasts, management team, and financial plan.